Max Laurence has also teamed up with Palestinian artist Dina Sami's to add a burst of color to The Dubai Mall Shack. The artwork is a recreation of Downtown Dubai with a fun and surreal comic featuring a giant crab burger, a sporty flamingo and lots of selfies. Filipino artist Melvin San Miguel has doodled a fun aviation-themed comic at the Dubai International Airport Shack, transforming it into foodie's heaven with surreal, surprising and entertaining illustrations. 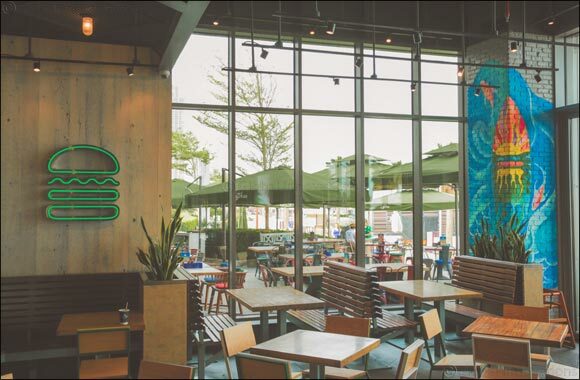 This collaboration with local artists stems from Shake Shack's® mission to ‘Stand for Something Good'. Shake Shack® believes that giving back is essential to connecting to every community that it has a presence in. It also runs a company-wide community program called ‘Shack Gives Back' that recognizes employees for volunteering and supports local artists.